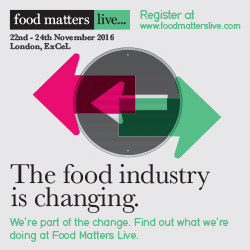 ESSNA is delighted to announce that it is partnering with Food Matters Live 2019, event which aims at bringing together a curated exhibition with hundreds of exhibitors and speakers, and thousands of visitors from across the global food, drink and nutraceutical industry. It is a unique event dedicated to creating cross-sector connections focused on the future of food, drink and sustainable nutrition. 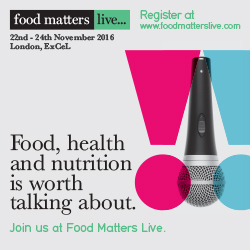 The Food Matters Live returns to ExCeL, London on 19–20 November 2019. Attractions this year include a Nutrition for Health & Wellbeing Seminar Stream which contains dedicated sessions about the future of sports nutrition. There is also an Innovative Ingredients Live demonstration area which looks at some of the very latest ingredients that can support new product development. The event runs alongside a new Global Food Matters Summit, whilst our Table Talk newsletter, with 94,000 weekly subscribers, now promotes a weekly podcast. ESSNA is delighted to announce that it is partnering with The Ingredients following its successful launch last year. Over three days, visitors can expect to meet leading exhibitors driving innovation, hear from global industry experts and absorb the latest trends. With innovation at its heart, the second year of the show will deliver all-important advice for manufacturers, giving them the edge to stand out from the competition and deliver value to customers. As the market for health food continues to dominate across FMCG categories, a raft of exhibitors showcasing their nutritious credentials will lead the way to ensure visitors in the food development industry are at the forefront of this growth. The Ingredients Show will provide the latest insight into the ingredients set to meet consumer demands and offer a glimpse into upcoming key category developments. Alongside the opportunity to discover the latest ingredients that are sure to excite consumers, The Ingredients Show educational programme will offer lively discussions covering topics including the use of fermented foods and the microbiome, to sports performance nutrition and insects as ingredients. The Ingredients Show is co-located with National Convenience Show, The Forecourt Show and Farm Shop & Deli Show. Registration for any one of the events will ensure access to the other shows throughout all three days. ESSNA is delighted to announce that it has formed a new partnership with the International Sport & Exercise Nutrition Conference 2018, this year taking place in Newcastle from 18-20th December. 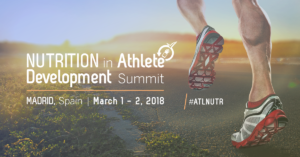 The conference is a high-level educational event targeted at sports nutritionists, personal trainers, elite athletes, and any other professional interested in sports nutrition. The programme, which can be accessed here, has a dual theme of Performance: Exercise & Health. The world’s leading experts will give their insights into the effects of diet and exercise on health and performance, and leading international speakers will present the latest evidence and encourage discussion and interaction. It’s an excellent opportunity for ESSNA to connect directly with targeted consumers to discuss its education campaign, secure new supporters and gain feedback from its target audiences. Members of the secretariat will be attending all 3 days of the conference, so do please let us know if you plan to go along. As it’s a first partnership, involvement for 2018 will be limited to cross-promotional activities, but we hope to grow this for the coming years to include benefits for ESSNA’s membership, should it be deemed a success. In the meantime, if members are interested in attending, please click here. If members are interested in exhibiting opportunities, please click here. Any other questions, please contact Mayar.Raouf@whitehouseconsulting.co.uk. ESSNA has confirmed a partnership with Health Ingredients Europe, taking place this year from 27-29th November 2018 to coincide with Health & Nutrition Week. 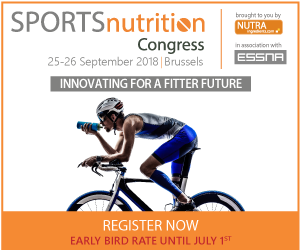 ESSNA will be leading on an afternoon stream on sports nutrition as part of a pre-event summit, ‘Future of Nutrition Conference’ on Monday 26th November. The 1-day Future of Nutrition Summit will bring together independent food pioneers to explore cutting-edge innovations in nutrition that are likely to change the face of the food & beverage industry in 5+ years. 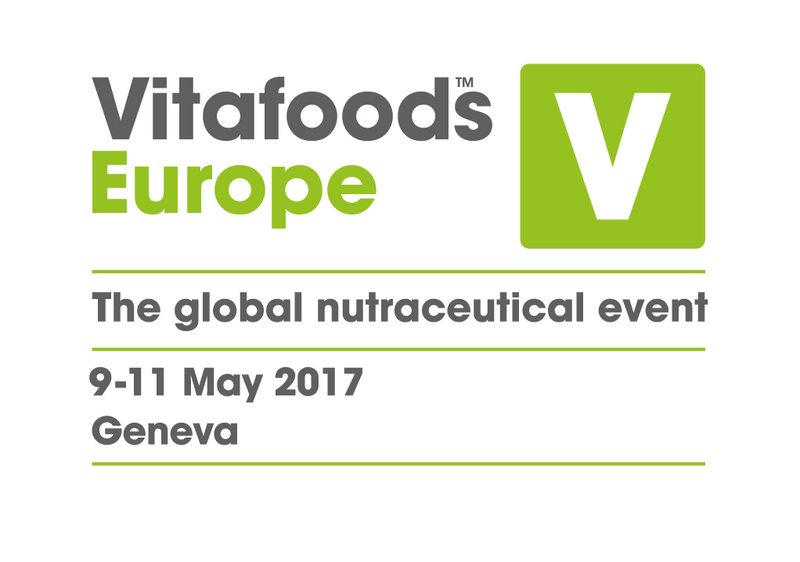 Discussions will focus on future global trends in nutrition. The Future of Nutrition Summit will take place a day before the Hi Europe exhibition on 26 November 2018, in Frankfurt, Germany. The venue chosen to host the Summit is the Sofitel Frankfurt Opera 5* hotel located at Opernplatz 16, 60313 Frankfurt am Main, in the heart of the city and next to the Alte Oper Frankfurt. The programme will be announced soon and more information can be accessed here in the meantime www.healthandnutritionweek.com. The partnership includes a 50% discount to ESSNA members on attendance to both the Summit and the Health Ingredients Europe conference and exhibition. More information will be circulated shortly but members should get in touch with Mayar.Raouf@whitehouseconsulting.co.uk for any questions in the meantime. ESSNA will also be hosting its fourth members’ meeting of 2018 on 27th November to coincide with the event, on which more information will also be circulated to the membership in due course. ESSNA is delighted to announce that it will be collaborating with William Reed Business Media and NutraIngredients to deliver a two-day conference dedicated to sports nutrition to coincide with the European Week of Sports 2018. The conference aims to bridge the gaps between cutting edge science, business strategy and key regulatory developments – offering a one stop shop for the latest must have insights in the worlds of sports and active nutrition. Join your peers from branding, formulation, science, marketing, regulation or market strategy for a ticket to sports nutrition success. ESSNA will also be hosting a members’ meeting on 26th September from 4-6pm. ESSNA members receive a discount on attendance and there are sponsorship opportunities within the congress – please get in touch with Mayar.Raouf@whitehouseconsulting.co.uk for more information. ESSNA members receive a 20% discount on registration – please contact the ESSNA Secretariat via Mayar.Raouf@whitehouseconsulting.co.uk for more information. 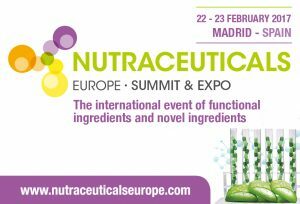 ESSNA is delighted to announce its partnership with Nutraceuticals Europe for its Summit & Expo for the second year running, next year taking place in Feria de Madrid from 14 to 15 February 2017. 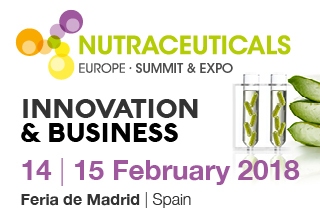 Nutraceuticals Europe Summit & Expo is the international event for the industry of functional ingredients and novel ingredients, and the professional meeting point for producers, distributors and its customers. Members of ESSNA are entitled to a 20% discount on the registration fee for the Congress – please contact the ESSNA secretariat directly via Mayar.Raouf@whitehouseconsulting.co.ukor 0207 463 0698 for more information.